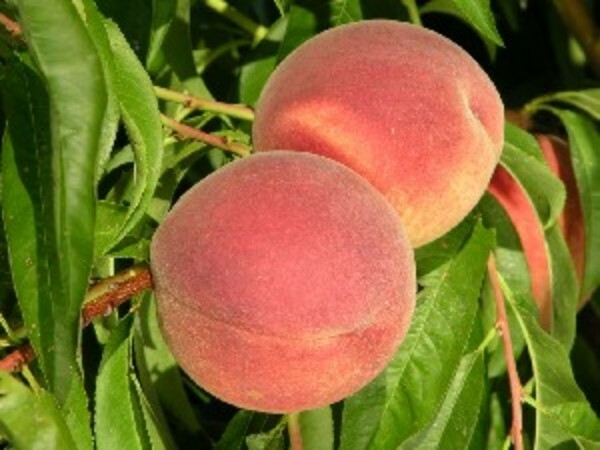 ‘UFGlo’ is a peach variety with a winter chilling requirement of approximately 400 chill units (cu) and a diameter of 2.5 to 2.75 inches. Trees of ‘UFGlo’ are vigorous, semi-spreading, and produce an attractive, sweet tasting, white, and non-melting flesh fruit intended for the fresh fruit market. The fruit development period is 80 days. Trees of ‘UFGlo’ produce fruit with tree-ripened taste while retaining firmness for longer shelf life than fruit from conventional melting-flesh cultivars. ‘UFGlo’ has fruited well where the coldest month averages 54-57 degrees F, and in colder locations in the absence of spring frosts. It is expected that ‘UFGlo’ will be well adapted to areas where ‘Flordaking’ is grown successfully. 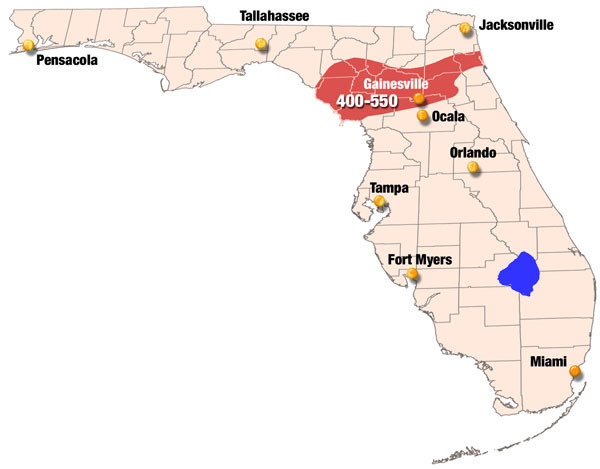 ‘UFGlo’ is expected to supplement ‘UFSharp’ Peach in north central Florida.